Bikers in France, whether residents or visitors, have started 2013 with good news: the French authorities have recently announced the full and permanent scrapping of previous plans to force all bikers riding a machine of more than 125cc to wear 150cm2 of reflective clothing anywhere between the waist and the shoulders. Under the previous proposals, bikers who were caught not wearing the appropriate reflective clothing from 1st January 2013 would have been liable to a 68 euros fine payable on the spot and two points taken off their licence. French bikers, with the invaluable and continuous support of the French Federation of Angry Bikers – FFMC (Fédération Française des Motards en Colère), can now enjoy riding all over France without wearing any reflective clothing if they so wish. 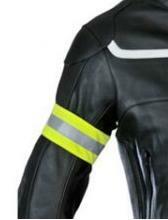 Manuel Valls, French Interior Minister, has permanently scrapped the proposed compulsory reflective clothing for bikers! 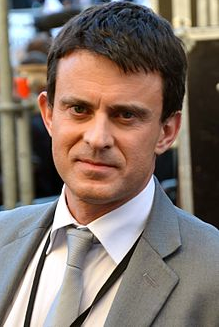 Thank you, Mr Valls! Manuel Valls, the French Interior Minister (right), announced the good news to the biking community earlier this month and a large number of bikers celebrated their victory of what had been a long battle that took several months. Manuel Valls has now officially decided to permanently scrap the ludicrous and non-sense proposals put forward by Claude Guéant, his predecessor, who had been ejected from the French government following last year’s presidential elections. The battle, which involved a series of national demonstrations gathering over 100,000 bikers and bringing the whole country to a complete stop, has obviously paid off and brought a fantastic result. Guéant initially proposed the compulsory wear of reflective jackets and, with the enormous pressure he was put under with thousands of angry bikers who kept blocking the roads all over the country, he decided to back off and restrict the reflective clothing to only 150cm2 between the waist and the shoulders. But this was not good enough – the bikers demanded full scrapping of the proposals, which they have now finally obtained. This was one of the most laughable and absurd proposals we had ever heard of because a) reflective clothing is precisely not reflective during day light, b) it is already compulsory to ride with headlights turned on, which makes riders clearly visible and c) those who ride machines of up to 125cc would have been exempt from wearing reflective clothing on the grounds that they don’t ride a powerful enough bike to be considered dangerous on the roads! Let’s not forget that a very large number of motorcyclists who ride a moped or a 125cc bike are precisely those who don’t hold a full motorcycle licence and have only attended at the very most a one-off 7 hour training course all together. CONGRATULATIONS TO THE FFMC AND ALL BIKERS IN FRANCE! There is nothing more productive than get together, stand up for our rights and fight against ludicrous public decisions that discriminate bikers against other road users and make our lives difficult when we use a mode of transport that should be encouraged, as it is the golden SOLUTION to reduce road congestion and air pollution. Demonstrate, stand up for our rights, fight against our government’s ludicrous proposals that put the future of motorcycling in danger – are these what perhaps British bikers should do more by following the example of their French neighbours? Whilst French bikers have remarkably won the reflective clothing battle, they now have to continue their fight against their government to make traffic filtering (or “lane splitting” to use the North American terminology) legal in France. Sadly in Britain we only have organizations like M.A.G. who really don’t support bikers at all; easily evidenced by their non support of the NoToBikeParkingTax in Westminster. I would be overjoyed if the FFMC decided to start a branch in the south of England – I would be their first member. Malheuresment en Angleterre nous avons, seulement les organisations comme M.A.G qui en effet ne donnez pas leur support à motards; on peut voir pour example, le non support de M.A.G. pour les manifestations des motards contre les charges de parking à Westminster, Londres. Si le FFMC ouvre une succursale dans le sud d’Angleterre je serais sans doute leur premier membre. would like to suggest that you check the MAG website before making such a comment. Fortunately, the French people are far more political than their British counterparts, thus more prepared to demonstrate to a greater extent. I congratulate my French biker bro’s, they have have made my life here in the Dordogne full of freedom. Felicitations mes amis! I’d join, it’s about time we all stood up to these bureaucratic idiots. the trouble with govt here is epitomised by the belfast council who would rather see policeman killed and the city reduced to rubble before they would reverse and fly a ffffin flag…theyll stick by their decisions whatever the cost..
Can you please give a link to any Governement announcement on this scrapped law. I can see nothing on the Ministry of the Interior Press site, or any other announcement. Why have you removed my question from last night??? The law for the retro reflective material was ‘withdrawn’ on Nov 27th last year, at the same time as the reconvening of the Conseil de securite de la route’. It was not ”scrapped”. I get updates from the Ministry of the Interior on a daily basis for the legal section of ”Bike Club France”, and I have received no communication that this law has been scrapped. Neither has there been an announcement on the FFMC web site. Please could you provide proof to your claims. Thankyou very much. Extremely helpful. I have now found the original text hidden away in the JO. Suspended, withdrawn, scrapped, postponed – it means it ain’t coming in now, that’s all we’re interested in, not a childish war of words. Even if the law was scrapped, there’s nothing stopping the authorities from resurecting it later. Let’s just celebrate the little victories we achieve today and ride free. Suspended is different from scrapped. Suspended means that it needs further review before it can be scrapped. That further review has taken place during which it had been decided that the proposal was unnecessary and would not add any value to riding safely. Suspension is stage 1, scrapping is stage 2 and it is our duty to report news accurately on our site.